I’ve reviewed so many billions of BBQ sauces I’m having to get creative in ways to try them. Here’s a good one..
Today the lady and I had boneless chicken breasts for dinner. 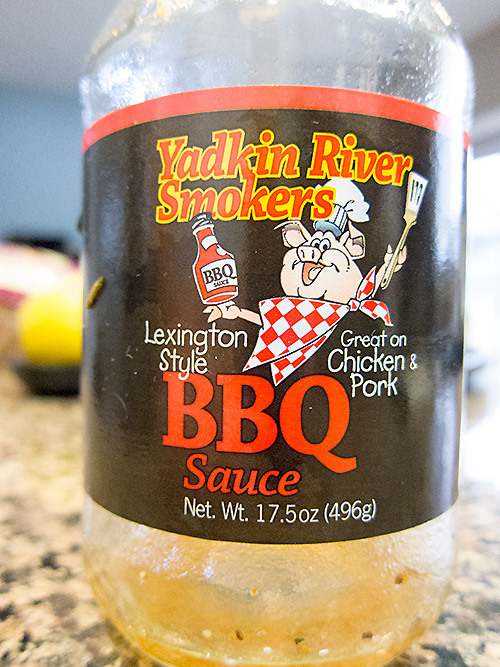 We put the raw breasts in the crock pot for about 6 hours, with a whole bottle of Yadkin River Smokers Lexington Style BBQ sauce. The end result was very tasty and tender chicken, with some sauce left in the pot to pour over the breasts. Accompanied by a nice salad and some garlic mashed potatoes and we were very satisfied.